Check out our new walks! Bob Johnson has been busy developing new self-guided walking tours, and the first three (Upper Berkeley Woods, Upper Shattuck and the Marin Circle, and Strawberry Creek Park and the Santa Fe Railroad) are now available as a full-color, 32-page pdf. These three fascinating walks are available in one package for only $4.99. For more details on the new walks, click here.To download immediately, please go the Payhip site or for info on paying by check click here. 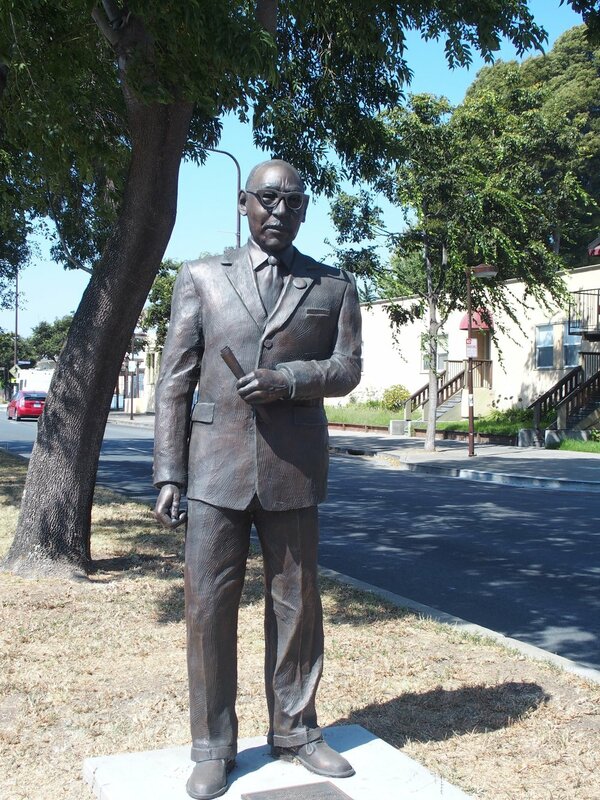 Coauthored by longtime residents and walk leaders Robert E. Johnson and Janet L. Byron, Berkeley Walks spotlights some of the things that make Berkeley such a fun and interesting city to explore by foot: historic architecture, fascinating history, beautiful parks and pathways, trees and gardens, and delightful surprises around every corner. The new edition includes extensively updated and revised content and three (and a half) new walks. Originally published in 2015, Berkeley Walks included eighteen self-guided tours of historic Berkeley neighborhoods such as the University of California campus, downtown Berkeley, the Rock Parks, and Maybeck Country. The new edition adds three walks: Park Hills and Hill Road, featuring Berkeley’s last planned subdivision; San Pablo Park, a historic African American neighborhood with the city’s first public park; and Berkeley Drinks District, an industrial area around Gilman Street that hosts numerous breweries, wineries and art galleries. A supplement to an existing walk takes walkers on a trail with great views of the city and the Bay to the “Big C” on the hill above the California Memorial Stadium. Along with updated versions of all walks, Berkeley Walks: Expanded and Updated includes shortcuts on revised walk maps, some new photos, and a comprehensive index. Nine of the twenty-one outings are accessible for people with disabilities, those using wheelchairs or pushing strollers, or anyone who prefers an easy amble. Bob Johnson and Janet Byron are available for interviews and events. For a review copy of the book or more information, please contact Deirdre Greene at dmg@roaringfortiespress.com. Personally signed copies of Berkeley Walks make a GREAT gift for any occasion! Please contact us at info@berkeleywalks.com or 510-528-4368 to order your books from the authors. We ship anywhere, and personally deliver to Berkeley, Albany, El Cerrito, Richmond, and North Oakland. Join Bob and Janet for a walking tour of Berkeley. Write to us at info@berkeleywalks.com for more information. About the authors, bibliography, sample pages and more! 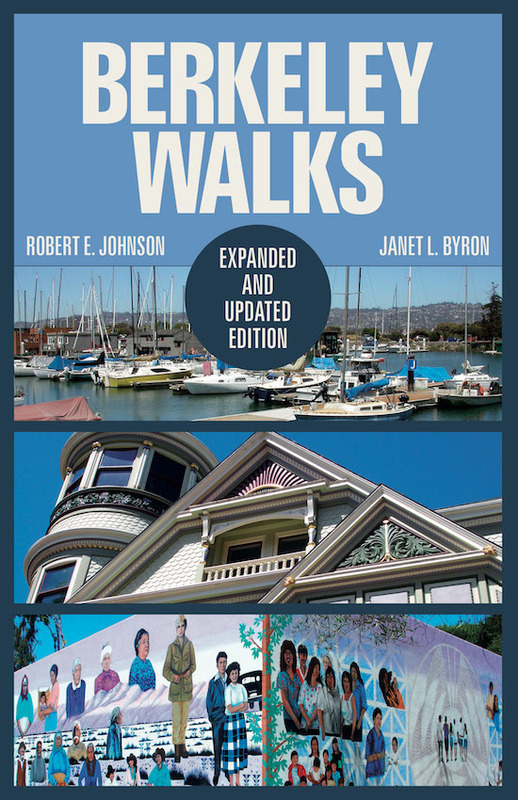 Check out exclusive new walks, not included in the book, created by Bob Johnson and available for purchase and download here. Join our email list for upcoming walks and events! Thank you! Please write to us at info@berkeleywalks.com with any questions and visit us at www.berkeleywalks.com.